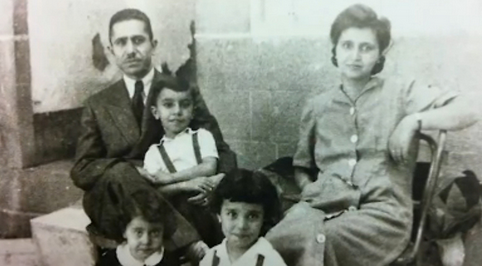 In 1948, after the establishment of the State of Israel, the Yedid family’s world crumbled. The Egyptian authorities revoked the business license of the head of the family, Nissim. He was a flour and spice merchant who could no longer provide for his family in Cairo. 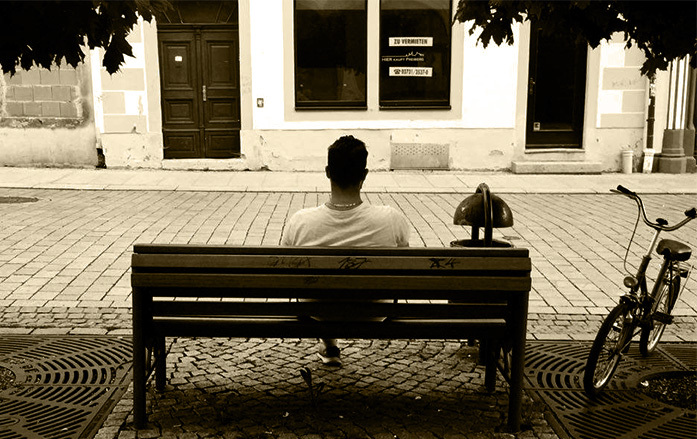 He decided to take them and flee, hoping to start a new life in Israel. When he returned to the transit camp, Yedid suffered a heart attack. His health deteriorated thereafter. The family moved into a tiny “servants’ quarter” apartment in Paris, as Aharoni describes it. 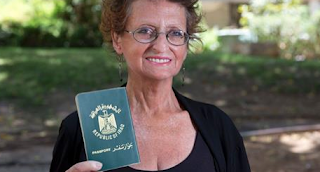 Her mother, who had been a piano teacher in Egypt, was forced to work as a ticket puncher on the Paris Metro. Aharoni was the only one of her family to immigrate to Israel. She established a family here and developed a career as a literary researcher. The money and other assets the family left behind in Egypt were never recovered. “We had two large, beautiful houses that were worth a lot of money, but all this property disappeared and we didn’t see a cent. We tried repeatedly to look into it, but nothing came of it,” she recounts. Two weeks ago, though, she was surprised to learn of Israel’s “classified activity” to seek restitution for assets lost by Arab and Iranian Jews. Someone who feels more hopeful is Janet Dallal, 59, from Tel Aviv. To this day, she keeps the inheritance document granted by a Baghdad court to her grandmother in 1955, confirming the abundant property she inherited from a very rich relative. Dallal has never relinquished her dream of recovering the money and property her family had to leave behind in Iraq. “We owned valuable lands, stores and houses in Baghdad and Basra,” she tells Haaretz. “The tomb of the prophet Ezekiel is on one of these plots,” she adds with pride. In the early 1950s, after many members of the Jewish community had already left Iraq, Dallal’s lawyer father Selim decided to stay there with his family. “He was loyal to Iraq and served in the army as an officer,” recounts Dallal. However, the deterioration in the security situation for Jews, and her father’s persecution by the Saddam Hussein regime, eventually caused them to flee as well. Janet was the first to immigrate to Israel, in 1975: She gave up college so she could work and save money for her family; her parents and grandmother joined her in 1978. They had to leave all their assets behind, arriving in Israel penniless. “Everything remained there. They forced us to sell off our assets at rock-bottom prices and we weren’t allowed to take the money with us. It was frozen in the bank,” recounts Dallal. Her grandmother died three days after reaching Israel, while her parents were housed in a public housing apartment in Tel Aviv. “They came with no money and endured a life of poverty,” Dallal says. However, she emphasizes that her father, who lost all his assets and lived off a tiny stipend from the National Insurance Institute, was happy even under the new circumstances he found himself in, blessing every day he was alive. Dallal, who became a grandmother this week, is tensely awaiting news regarding the secret negotiations the state is conducting with regard to Jewish assets. It’s difficult to find out exactly what lies behind that “classified” state activity for the restitution of stolen assets. “There’s a complete gag order, based on concerns that information will leak,” Social Equality Minister Gila Gamliel tells Haaretz. MK Oren Hazan (Likud), who heads a lobby aimed at recovering Jewish assets from Arab countries, suggests some potential directions this activity could lead. “The idea is that, in the framework of official and unofficial relations Israel is trying to develop with Arab countries, the possibility of obtaining information about stolen private and public Jewish assets be included. This includes synagogues and cemeteries in these countries,” he says. In other words, a possible future scenario could see Israeli insurance claims adjusters traveling to Arab countries in order to evaluate the value of Jewish property left behind. The state could then use this information to formulate claims. “I have a personal connection to this,” adds Hazan, describing assets his father’s family owned in Morocco and other assets his mother’s family held in Tunisia. “I know firsthand from my family and others of stories of valuable objects, treasures and a lot of property that was all confiscated when they left for Israel,” he says. Stories like those of the Yedid and Dallal families are a common refrain among many Jewish families who fled from Arab countries or Iran. A million people came to Israel from these countries in 1948, and several hundred thousand followed in the next few decades. Many left behind valuable possessions, which they never saw again. For many decades, the state disregarded their claims of stolen assets. However, in 2014, State Comptroller Joseph Shapira addressed the matter, describing the “fiasco” that will be regretted for generations to come, since Israel didn’t make any serious efforts to find out how much property these Jews left behind, what condition it was in and what could be done to seek compensation. Aharoni, who doesn’t expect to retrieve her family money and assets from Egypt, seeks to harness the suffering, loss and theft suffered by Jews from Arab countries to promote peace. She’s devised a Utopian formula, according to which a “sulha” (reconciliation) between Israel and the Arab states can be reached if the latter recognize that it wasn’t only Palestinians who suffered and whose property was stolen. In the meantime, until these secret negotiations bear fruit or until peace arrives, Cohen is pursuing his own initiative. On a Facebook page he set up called “The Jewish Nakba,” he appeals to Arab audiences in Arabic, “explaining to them that there will be no solution to the Palestinian refugee problem as long as the problem of Jewish assets in Arab countries is not resolved. Catching up on some sad news from the Nice terrorist attack on 14 July 2016: the Times of Israel reports on the death of one Jewish woman, while her sister is still critical and has had to have both her legs amputated. They, like most French Jews, are of North African origin. 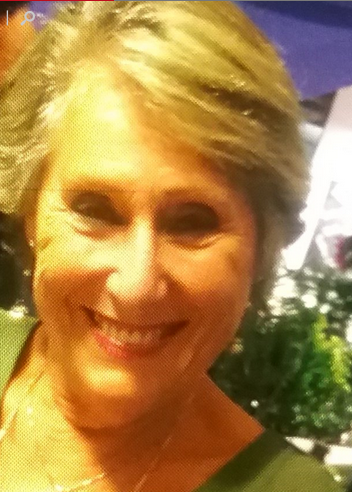 A Jewish woman who was badly injured in Nice on Thursday night when an armed truck driver plowed into a crowd has reportedly died of her injuries. Raymonde Maman, 77, and her sister Clara Bensimon, 80, were located in a local hospital on Friday afternoon, where they are both on respirators in critical condition, the Ynet news site reported. Maman succumbed to her injuries on Sunday, according to reports in the ultra-Orthodox media outlets Hamodia and Kikar HaShabat. Bensimon remained in a coma on Monday, according to the reports, which said her legs had been amputated as a result of her injuries. The attack came as no surprise to many locals, including many of the city’s 20,000 Jews, who for years have been the target of anti-Semitic attacks and harassment by members of a growing minority of fundamentalists from within the city’s large Muslim population. “The only Jews you see walking around with a kippa are the foreign tourists,” said Chalom Yaich, a caretaker at the Michelet Jewish community center and synagogue. One of Nice’s dozen-odd synagogues, Michelet is located next to a car repair shop at the northern downtown area about a mile and a half from the glitzier beachfront area. The petition, launched earlier this month by Orthodox Jews from France living in Jerusalem, follows a decision made in May and announced last month by the French government to move graves from 31 cemeteries. With upkeep expenses mounting amid frequent vandalism and garbage dumping at the cemeteries, the French and Algerian governments decided to move European cemeteries into an ossuary following a six-month delay designed to allow family members to organize the transportation for the remains of ancestors to France. 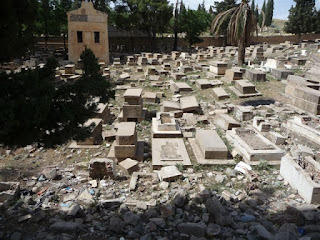 Halachah, or Jewish law, allows disturbing graves almost exclusively in situations where doing so can save lives or prevent disrespect of the dead and desecration. But in this case, “the main reason is to limit the expenses,” the organizers of the petition wrote. They also said the plan will result in the desecration of more than 1,000 Jewish graves that do not have headstones. Many headstones were removed over the decades from European cemeteries. There has been a Jewish community in Syria since Roman times. 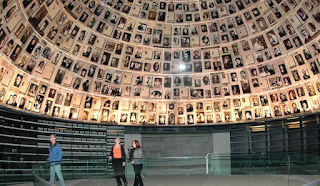 In the 19th century it numbered several thousand, but by 2005 just 80 Jews remained. Most of these have fled since the war started, and by the end of last year it was estimated that just 18 were left in the country. Under Assad, Jews were officially banned from politics and government employment. “Most of our neighbours knew that we were Jews, it was quite normal and fine. However, I have never said openly that I was Jewish to those who didn’t know us”. Most Syrians don’t feel comfortable hearing about Jews living in Syria, he says. Despite the difficulties faced by Jews, Alanov is clear that he loves his country. “I love Syria, I love Damascus,” he says. Jews felt this particularly: “We couldn’t practice our rituals normally by going to synagogues for example, and mostly worshipped at home in secrecy. The worst thing to me was hearing my schoolmates expressing hatred towards Jews,” he says. Alanov came to Sweden in 2014, after five years in Lebanon. His brother is also in Sweden, his sister is in Germany and his mother is back in Lebanon. Seeing his family is an impossible dream at the moment. He points to the irony of Europeans freely travelling to Syria to join Isis, while innocent Syrians are unable to travel. “In the asylum countries, they give you something and take others. Here for example, you have to wait for them to decide on your life. You might wait for two years to have the chance and know what they have decided for you; either to stay or to be deported – is that freedom? Isn’t that degrading? Despite the frustrations, he is full of praise for the “respectful and humane” way Swedes have received refugees. Alanov still longs to return to his homeland, despite the difficulties faced by Jews there. When it comes to raising money for Israeli causes, the Jewish diaspora routinely finds Jews from Africa less interesting than African refugees, argues the iconoclastic Seth Frantzman in the Jerusalem Post. 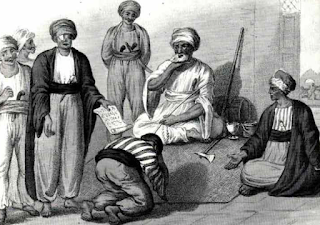 Just as you would never discuss African-American relations without reference to the Jim Crow laws and slavery, so should Arab-Jewish relations never be discussed without reference to the Dhimmi rules, argues Mike Lumish at the Elder of Ziyon blog. In order to understand the Long Arab War Against the Jews, we need to place it within the long history of Jewish people living under Arab and Muslim imperial rule from the seventh-century until the demise of the Ottoman Empire with the conclusion of World War I. From the time of Muhammad, until Islam ran head-first into modernity and the twentieth-century, the Jews of the Middle East were second and third-class non-citizens under the boot of Arab and Muslim imperial rule. However bad African-Americans had it in the United States under the vile rules of Jim Crow, it was never worse than Jewish people had it as"dhimmis"and what we call "dhimmitude" lasted one heck of a lot longer. As dhimmis in Arab and Muslim lands, Jews (and Christians) could ride donkeys but horses were forbidden. As dhimmis in Arab and Muslim lands, Jews (and Christians) were forbidden from building housing for themselves taller than Muslim housing. As dhimmis in Arab and Muslim lands, Jews (and Christians) had no rights of self-defense. As dhimmis in Arab and Muslim lands, Jews (and Christians) had no recourse to courts of law. As dhimmis in Arab and Muslim lands, Jews (and Christians) had to pay protection money to keep their families safe from violence. And this is one of my favorites, in certain times and places under Arab-Muslim imperial rule Jews were not even allowed to go outside during rainstorms lest their Jewish filth run into the street and infect their pure Muslim neighbors. 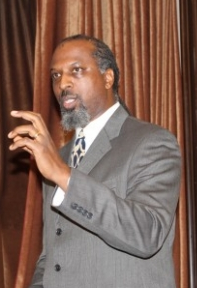 The point, however, is that just as we would never discuss African-American history without reference to both Jim Crow and slavery, so we must not discuss the Long Arab War against the Jews without reference to thirteen-centuries of Arab and Muslim oppression against all non-Muslims in the Middle East, including Christians and Jews. This is not merely a political tactic. It is a matter of framing the conversation within something that resembles an historical context. The historical context is vital because without it the conflict is incomprehensible outside of the prominent western notion of mindless Jewish malice toward Arabs, presumably as unjust payback for the Shoah. Westerners think that this is a fight between big, strong, mean Israel against the innocent, thumb-sucking "indigenous Palestinians" over land. What the struggle actually is is an ongoing attempt by the Arab peoples to force Jews back into dhimmitude out of a Koranic religious imperative. The small Yazidi community in Canada is teaming up with local Jewish organizations to help refugees running from ISIS find new homes. 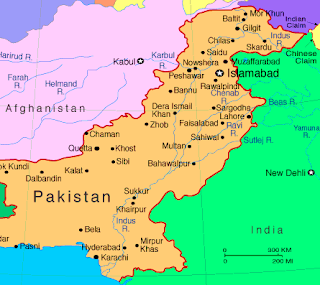 I am an 18 year- old Pakistani boy. My grandparents crossed the Indian border in 1948. They used to live in Hyderabad, South India. During the migration process, my grandfather told me that those days were the toughest days he had ever seen in his life: there was blood all the way, kidnappings, rapes. Extremists also robbed my grandparents ; when they forced my grandparents to accept Islam and leave Judaism, my grandparents refused, then they raped my grand mother, so I was told. When they got into Pakistan at the Wagah border with Lahore, they were processed so as to obtain migration documents. When it came to religion, the migration registrar refused to provide documents for my ancestral family. His words were, so as I was told: " we hate Jews, because of non-Muslims we had to sacrifice our lives to obtain a country, and you people will ruin it, and make our land unholy." My ancestral family was forced to accept Islam once again, but they now decided to pretend rather than accept. From that very moment we were registered here under Muslim names. A few days ago when I became legally an adult of 18 years of age, I filed an application to the registration department NADRA for my ID card. I also mentioned to them that I want to make my religion Judaism again. The registration officer lady, replied with an angry face, " once the religion is Islam it can never be changed as per the policy laid down by the Interior Ministry." Thrice I received same reply, even though I showed them some documents which we obtained after migration, documents which still show that we are Jews. Even though we are pretending to be Muslim, we have never forget to observe shabbat, and we do pray the shema, read Tanach (Torah) Tehilim (psalms). You cannot solve a real problem by using a false narrative, argues Oded Lifschitz in this must-read Haaretz article, written in the wake of the Biton report, which he fears will be used as a Mizrahi vote-winner and an instrument of the 'thought police'. He shoots down various myths spread by 'Mizrahi deprivation activists': Rather than have had their 'Arabic culture stolen from them', Moroccan Jews had already assimilated French culture before they arrived in Israel and number more Nobel prize-winners than another group. The Mizrahim, they say, were discriminated against economically, socially, culturally and in their dealings with the government. Jewish and Zionist history focused on Ashkenazi Jewry and ignored the Jews of the east. The conclusion: The Mizrahim were discriminated against and there must now be economic and social affirmative action to make both parts of the nation equal. And to what extent were Moroccan Jews Mizrahi-Arabic? Colonialist France seized Algeria in 1830, Tunisia in 1881, and Morocco in 1912. Even before that, France’s Ashkenazi Jewish community had integrated into secular society in France and into its colonialist French culture. It declared itself the patrons of the Jews of the east, and set up the French-Jewish Alliance school network, which operated hundreds of schools between Baghdad and Casablanca. From 1860, Alliance established dozens of schools in Morocco, with 80 percent of the Jewish children studying in them. Avraham became Albert, Moshe became Moise, Sarah turned into Jacqueline and Miriam to Claudine. The pupils memorized Moliere, learned algebra and aspired to do well on “le bac,” the French matriculation exams, so they could study in French universities. While the Muslims in these countries dreamed of independence, the Jews supported the French colonial regime, which advanced them in the economy and the civil service and which generously funded the Alliance network. The Francophile melting pot was a tremendous success; three Jews of Moroccan origin have won the Nobel Prize: Baruj Benacerraf (Medicine, 1980); Claude Cohen-Tannoudji (Physics, 1997) and Serge Haroche (Physics, 2012). Moroccan Jews are thus the group with the highest rate of Nobel Prize winners in the world. The deprivation activists complain about the repression of Mizrahi music in Israel, even though most Jews of the Maghreb preferred French chansons to Mizrahi music, and here many of them are fans of Gaston Ghrenassia, the talented Algerian-born French-Jewish singer and songwriter better known as Enrico Macias. The deprivation activists never boast about Macias or the Nobel Prize winners because it would mess up their narrative of how their “authentic Moroccanism” – mufleta, clapping and Arabic songs – was stolen from them. That’s as insulting as arguing that the main legacy of Polish Jewry is gefilte fish, Hasidic dances and Polish songs. There’s a Hungarian saying that roughly translates as “Whoever comes from a distant land says that there he was a king.” Indeed, whoever had a cabin in his native land says he lived in a palace, and if his father taught little children the son says he was a famous rabbi. In contrast to the false narrative, no one stole pure Mizrahi-Arab culture from the Jews of the Maghreb, because most of them had lost it long before they came here. In Israel, all they did was move them from the Francophile melting pot to the Zionist-Hebrew one, which combined those who spoke Yiddish, Romanian, Arabic, Ladino and French, and gave them a language and crucial tools they needed to integrate and advance in secular, Western Israel. Migration is a difficult and painful process, but the difficulty would have been intensified had these immigrants been left to seclude themselves in their Franco-Maghreb Mizrahism. If they were deprived, it was for the opposite reason – many of them were sent to distressed towns and neighborhoods and to homogenous immigrant communal settlements where they didn’t meet enough Israelis or other types of immigrants. This undermined their integration and delayed their advancement. Is there still an ethnic gap? There is, and the deprivation activists blame the Ashkenazim, Mapai, “the left,” the kibbutzim, everyone. This is despite the fact that by the 1970s, after decades of left-wing, Ashkenazi rule, Israel was a leader in socioeconomic equality, while today, after decades of right-wing rule, it’s a world leader in socioeconomic gaps. Because the ratio of Mizrahim in the lower deciles is high, the obvious conclusion is that the left actually advanced the Mizrahim and it’s the right that impoverished them. Momi Dahan, a Morocco native and a professor of public policy at the Hebrew University of Jerusalem, claims that in 1996 the income gap between Ashkenazim and Mizrahim was 40 percent, while in 2011 it was 26 percent, meaning that it is closing at a fast pace, one percent a year. Interethnic marriages are accelerating the closing of this gap and are blurring the boundaries; when one asks how to define a Mizrahi or what percentage of the population is Mizrahi it’s hard nowadays to find an answer. The Mizrahi thought police now being established following the great cultural revolution of Naftali Bennett, Miri Regev and Erez Biton will only perpetuate the false Mizrahi narrative. The initiators might benefit. 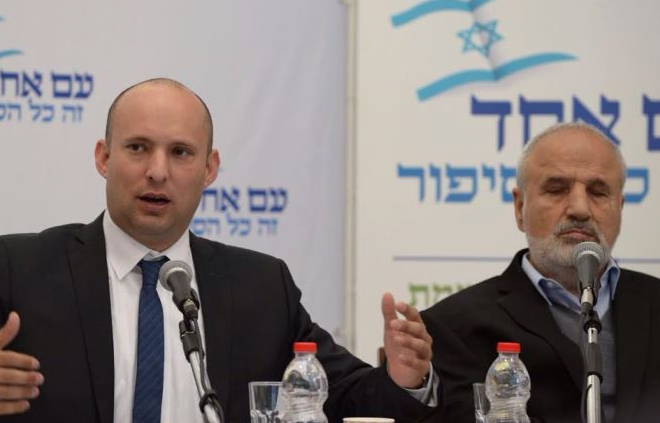 Bennett will try to pick off Mizrahi voters from the Likud, Regev will solidify her position, and for the matriculation exam in literature pupils may learn more Biton than Bialik. But the tough commissars that will be taking over the educational, cultural and media institutions to condemn, denounce and punish those who will deviate from the official Mizrahi narrative, and the tough kashrut inspectors who will purge the Ashkenazi hametz from the textbooks will do all of us harm, particularly the Mizrahim among us. You cannot solve a real problem by using a false narrative. What’s urgently needed is a reliable Mizrahi narrative that will define the real reasons for the ethnic gap and work to erase it. This is the only way we can bury the fabricated and divisive ethnic demon that is nurtured and exploited by the deprivation activists and right-wing governments. They continue to enrich tycoons and oppress the weak, including many Mizrahim, who are still misled and continue to vote for those who are screwing them. The report, which purports to acquaint school kids with their rich and beautiful Mizrahi heritage by sending them on trips to North Africa and the Balkans, among other suggestions, came in response to pressure from Israeli organisations representing Jews from Arab lands. Mirroring the western origins of the founders of modern Zionism, the history Israeli schoolchildren learn is Eurocentric, although over 50 percent descend from Jews driven from Arab and Muslim countries. 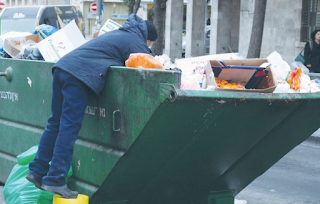 Mizrahi leaders have been pushing for the Biton report to correct the imbalance. The published report has sparked a variety of reactions - some violent. The Israel Army Radio critic Gidi Orsher lost his job over remarks he made that the Biton report marked a victory for eastern superstition and obscurantism over science and technology. Miri Regev, culture minister of Moroccan descent, lost no time in savaging Orsher as a worthless elitist. By contrast, the left-leaning Haaretz newspaper has been crowing its glee, commending the report for letting 'Arab-Jewishness out of the closet'. For Zvi Barel, it's all about ending the state's historic 'discrimination' against the Arabic language and culture. At last, Barel enthuses, Israeli school kids will be able to tap into their latent 'Arab' identity by studying the now officially-approved works of the great medieval Muslim poet al-Mutanabbi. But as Ashkenazi opinion-formers descend into time-worn cliches about 'discrimination' - to which the Biton report pays lip service, recommending that school kids be taught in civics classes of the Black Panthers, the Wadi Salib riots and the 'kidnapped' Yemenite children - no one seems to have asked Mizrahim themselves what they thought. A survey by the Israel Democracy Institute found that only 1.4 percent of respondents thought that Ashkenazi discrimination of Mizrahim was a point of conflict. Economic inequality and lack of career prospects were far more pressing issues. Although they recognise that the Biton report is an important first step, Mizrahi leaders, for their part, are bitterly disappointed." It's a scandal," says one. 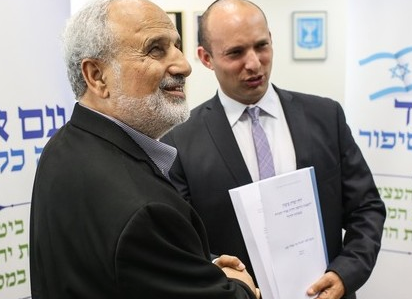 The coalition of Mizrahi representative bodies are reported to be drafting a scathing letter to the Biton committee members, with a copy Naftali Bennett. The reason for their disappointment is that the report does not adequately reflect the 'tragedy' of the Mizrahi Jews - the expulsion and dispossession of Jews from Arab and Muslim lands. Cryptically, the Biton report promises that "Arabs and Islam will be presented not just in relation to the Jews (as subjugators or providing good treatment) but as themselves." Quite what the report writers mean by this is not entirely clear, but to wax lyrical about the cultural points of connection between Jews and Arabs while glossing over one of the worst examples of mass ethnic cleansing of the 20th century would be like enthusing over the great Jewish contribution to Eastern European culture while barely mentioning the Holocaust. It is essential for children to learn the context of why their parents and grandparents had to come to Israel without exaggerating the Mizrahi contribution to Zionism. For the most part, they came as refugees, and no amount of studying the great poet al-Mutanabbi can obscure this fact. NEVE SHALOM – A makeshift sign tacked onto an olive tree is for now the only clue to the grand plan in store for this stretch of woods overlooking the Ayalon valley in central Israel. “Honoring the Circassians who saved the lives of Jews,” it reads. If all goes as planned, this several-acres-large plot will become the site of an ambitious memorial project commemorating courageous individuals around the world who, during periods of war, ethnic cleansing and genocide, risked their lives to save others. Alongside the tree commemorating the tiny Muslim Circassian village in the Caucasus that saved 32 Jewish children during the Holocaust, there will be others — many others, in fact. Within the next few years, according to the latest blueprint, the entire area will be covered with plaque-bearing trees and other monuments paying tribute, among others, to Turks who saved Armenians during the World War I genocide, Palestinians who rescued Jews during the 1929 Hebron riots, Jews who saved Palestinians during the Jerusalem riots that same year, Armenians who saved Jews in Budapest during the Holocaust, Jews who saved gypsies from the Nazis, as well as Hutus who rescued Tutsis during the Rwandan genocide — in short, any rescuer, no matter their origin or creed, not officially acknowledged by Israel’s state institutions. KM: Can you please shed light on why you think it is important for young Christian Zionists in your organization to know more about the plight of 850,000 Jews who fled or were forced out of the Arab lands and Iran during the 20th century? Like much of the world, most Christians are completely unaware of the story of the Mizrahi Jews. They are somewhat aware of the Holocaust, but do not know that more than half of Israel’s Jewish population came from North Africa (and the Middle East - ed), and the It reminds Christians that the God of the bible is indeed gathering the “dispersed of Judah from the four corners of the earth,” by challenging them to think beyond the Jews of Europe. It is also a reminder that Jewish communities in what are now Arab or Muslim countries predated Islam and Christianity by more than 2,000 years. Finally, knowledge of the Mizrahi Jews gives a more accurate account of the Arab-Israeli conflict, making an even stronger case for the need for a Jewish state. For example, knowing that the Jews of ancient Babylon or Iraq were persecuted and expelled during the Farhouds of the early 1940’s is evidence that the current “conflict” is not truly about territory. It’s about hatred for the Jewish people. KM: With all due respect, the Ashkenazi Jewish community in the U.S. has never shown an interest in hearing about the story of the forced Jewish exile from the Arab lands and Iran. As you indicated, some do not even know about it. Why do you believe Christians will have interest in this story? Not only do I believe Christians will be interested in the Mizrahi narrative, CUFI is already seeing the extent of the interest. In January we shared this story with CUFI’s top college advocates during our Student Advocacy Leadership Training Conference. There were also many pastors and CUFI staff in attendance. We connected the Mizrahi Jews with the biblical narrative, and showed 19th century pictures of the Jews of Morocco, Algeria, Egypt, Syria, Tunisia, Iraq, Iran, Libya, Lebanon, and Yemen. The conference attendees were inspired, empowered, and strengthened in their spiritual faith. A few pastors asked that the presentation be made at their churches. Many wanted even more information. The stage is set. KM: I understand you’ve mentioned to CUFI members and even to Christians who had support for the Palestinians about this issue of the forced Jewish exile from the Arab lands and Iran in your speeches here and there. What have been their initial reactions to learning about these Mizrahi Jews and their forced exile during the 20th century? As I mentioned, our ‘CUFI On Campus’ leaders and pastors were very intrigued by the initial presentation we made at our annual student conference in January. Since that time I’ve had the opportunity to share the Mizrahi narrative in our introductory events which are Pastors briefings, and the reaction has been consistently positive. Also, I have begun including the information in campus lectures – lectures that have both pro-Israel and anti-Israel attendees. Even Israel’s detractors are taken aback by the unfamiliar story of over 850,000 Jews expelled from Arab and or Muslim lands. I strongly believe that, as this topic becomes a staple in Israel advocacy on college campuses, it will help our students make an even stronger case against the de-legitimization of Israel – especially during BDS campaigns. KM: Can you please share why you have outreached to the L.A. Iranian Jewish community and other Mizrahi communities to tell their story about their forced exile and escape? What impact do you believe it will have if Christian Zionists here it directly from those whose families experienced this exile? I’m a believer that one who has actually experienced something can make the most compelling case for it. For The ‘Mizrahi Project’ that will include both the first generation who fled to Israel and other places, as well as their children. I have personally interviewed many members of the Mizrahi community both in Israel and the United States and have found them to be among the most passionate and articulate supporters of the Jewish State. The older generation has vivid memories of what it was to live in places like Egypt and Turkey. One of my dear friends is a Jew of Egyptian and Iraqi descent who remembers being stateless for years while waiting for immigration to the U.S. Her mother’s family was kicked out of Iraq with nothing more than what they could carry in a briefcase. Her father left Egypt when the Arabic version of Hitler’s “Mein Kampf” became a best-seller. Whenever the question of Jewish property seized in Arab countries comes up, it is not unusual for Arab media to become somewhat hysterical. Yesterday's Knesset session on restitution of Jewish property in Arab lands, and Israel's secret efforts to advance this issue, was enough to send the Egyptian internet site Dotmsr.com into a panic. Instead of doing its own research Dotmsr.com lifted whole chunks from the Facebook page of Dr Edy Cohen, a Lebanese-born academic researcher and activist on behalf of Jewish refugees from Arab lands, including his photos. Perhaps in anticipation of Arab media interest, Dr Cohen had thoughtfully posted his comments in Arabic. Zionist Union Isaac Herzog attended the Knesset session on Jewish property in Arab lands, underscoring the cross-party nature of the issue. Dotmsr..com quoted Dr Cohen's words: "there will be no solution to the Palestinian refugee problem as long as it does not solve the Jewish refugee issue and the problem of their looted property, especially in Egypt, Iraq and other Arab states. He added: "Arabs know that the Israelis would ask Arab states to compensate Jews who left the Arab countries and moved to live in the Jewish state. They will soon themselves demanding of the countries of the world, and in front of international tribunals, and institutions of public law, compensation for their suffering, their property and their rights which they left in their countries of origin. The Arabs carry the moral responsibility for the departure of the Jews. " Dotmsr.com found it noteworthy that on his Facebook page Dr Cohen had called for the leader of the Zionist Union Party, Isaac Herzog, to raise the issue to the forefront of Israeli public opinion, and asked him to talk about this issue in the media. Some of those attending the Knesset session. In the blue blouse, Mrs Levana Zamir, head of the organisations representing Jews from Arab countries in Israel. The meeting was chaired by MK, Oren Hazan, who heads the lobby for the return of the property of Jews from Arab countries. Hazan belongs to the Likud party. Speaking to a Knesset Immigration, Absorption and Diaspora Affairs Committee hearing on restitution, Cohen said, “There is classified activity in conjunction with the Foreign Ministry in which we will invest millions to restore property belonging to Arab and Iranian Jewry, which will come to fruition within a month to a month-and-half. I cannot elaborate further.” Alon Simhayoff of the National Security Council confirmed the statement, adding that the covert move has the backing of the Prime Minister’s Office and the NSC. The news that Israel is secretly working to secure the return of property stolen from the Jews of the Islamic world some 70 years ago is surprising. Though the restitution issue resurfaces in the public debate every few years, until now, virtually nothing has been done about it. The sensitive issue resurfaces in public debate every few years. Though numbers aren't exact, it is believed that nearly a million Jews resided in Arab countries and in Iran on the eve of the War of Independence in 1948. After Israel was established, around 600,000 of them immigrated to Israel over the next three decades in waves that continued in 1956 and 1967 and after the Iranian revolution in 1979. A State Comptroller report published 2014 blasted the state for neglecting the issue, and put the combined value of the lost assets at “a few billion dollars.” Despite repeated promises by successive governments, the state has made almost no effort to gather data on this lost property, and as of when that report was published in 2014, it hadn’t even formulated any real plan for doing so. The Knesset did pass a law in 2010 stating that restitution for the lost property would be part of any future peace negotiations. And three years ago, the Social Equality Ministry, which is responsible for dealing with this issue, issued a public appeal to any whose family lost property in the Arabs states or Iran to fill out forms seeking its restitution. 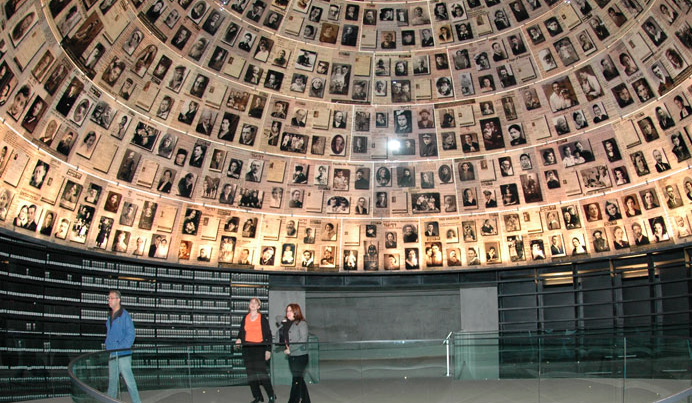 In Israel, the Holocaust is almost always front of mind. Yet for decades, explains Sucary, whose novel Benghazi - Bergen-Belsen has just been published on Amazon, almost nothing was said publicly about the experiences of the Jews of Benghazi, Tripoli and beyond after the Nazis occupied Libya in 1942. "They suffered from the Holocaust in the most brutal way, like their brothers in Europe, but people didn't know about it in Israel," says Sucary, shaking his head. "We call it the unspoken Holocaust." Even now, the story of the Libyan Jews during the Holocaust remains in the shadows. What's known is that after seizing the country, the Nazis created at least three concentration camps: Jado, Gharyan and Said al Aziz, where many died from disease or starvation alongside Nazi brutality. Jews were also transferred through Italy to Belsen and Birenbach Reiss. Many of the latter group, Sucary's grandparents included, were upper class Libyans who, by virtue of having worked in Egypt, held British passports. "The Nazis planned to make prisoner substitutions," he explains. Unlike in Europe, the Nazis did not keep meticulous records and the number of victims is the subject of ongoing debate. 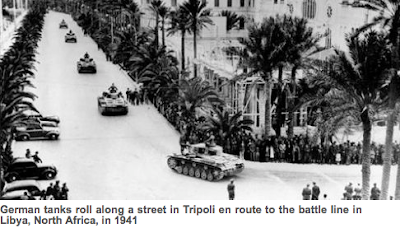 Sucary puts it in the thousands, but is clear that "every one of the 50,000 Libyan Jews suffered one way or another from the Nazi occupation… every family suffered from someone who was killed, wounded or collapsed." 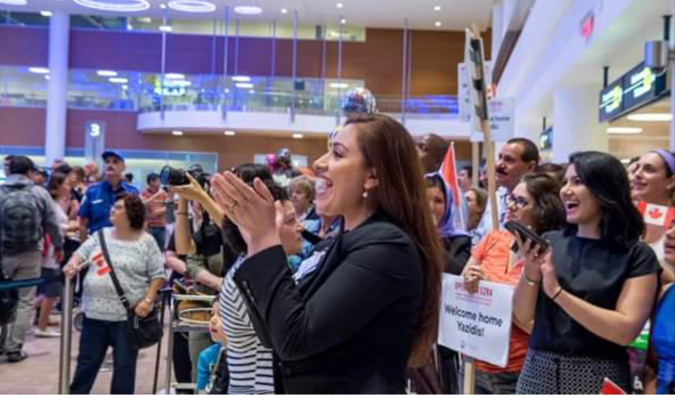 After liberation, survivors were sent back to Libya. Vast numbers of Libyan Jews joined other Mizrachi communities and emigrated to Israel, where Sucary was born in 1959. Growing up hearing his mother wake from nightmares in which she would cry "the Nazis are coming", in Arabic and Italian, Sucary always knew this story needed to be told. When his novel was published in Israel in 2014, it won critical praise - Sucary received the prestigious Brenner Prize for Hebrew Literature -- and sent shockwaves around the intelligentsia, most of whom knew nothing about what had happened. A few historians had written about it, he says, but people didn't pay attention. "Literature can encourage history to speak and that's what happened. Now everybody knows about this story." The novel tells of Silvana, a young woman who watches her community crumble and displays leadership in the face of this crisis. It is not his mother's story - she was just 10 when the Nazis arrived - but is inspired by it. Sucary's family were wealthy - his grandfather a successful merchant importing building material from Italy to North Africa – and had flourished in then-cosmopolitan Benghazi. "They lived a very good life and had relatively good relationships with the Arabs." While they survived, his mother's eight-year-old cousin was shot at close range, and other relatives perished. Beyond the atrocities, Sucary is struck by how those taken to German concentration camps survived against the odds; speaking Arabic not Yiddish, used to warmer climates. 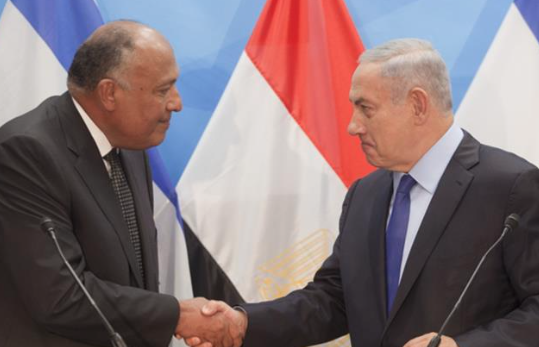 Egypt's Foreign Minister Sameh Shoukry has met Israeli Prime Minister Benjamin Netanyahu in Jerusalem, the first such visit in nearly a decade. Speaking at a news conference on Sunday alongside Netanyahu, Shoukry called for renewed peace talks between Israeli and Palestinian officials, and warned of the "constant deterioration" of the situation on the ground since the last round of negotiations between the two sides collapsed in April 2014. 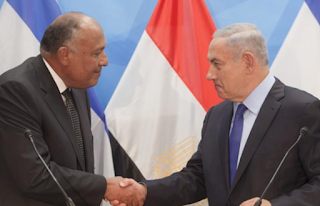 "My visit to Israel today is a continuation of Egypt's long-standing sense of responsibility towards peace for itself and all the peoples of the region, particularly the Palestinian and Israeli peoples, who have suffered many decades due to the perpetuation of the conflict between them," Shoukry, the first Egyptian official to visit Israel since 2007, said. "The plight of the Palestinian people becomes more arduous every day," he added. "The dream of peace and security moves further out of the Israeli people's reach as long as the conflict continues." More than 100 families are ready to sue the Israeli government unless it releases classified documents concerning the (allegedly) kidnapped children of Yemenite refugees who arrived in Israel in the 1950s, Ynet News reports. The Yemenite Children affair has resurfaced once again in the public debate following the Achim Vekayamim organization’s stated intention to renew efforts to discover the truth behind one of the cases, which has caused a storm in Israel for decades. The governmental investigative committee on the mysterious disappearance of Yemeni children classified documents and materials about the case that were classified in 2001. Achim Vekayamim, which comprises dozens of Yemenite family members who were either allegedly kidnapped (or parents of those allegedly kidnapped), announced its intention to petition the Supreme Court to provide access to these files. 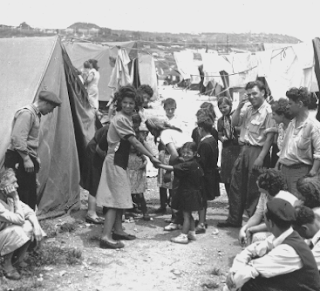 The Yemenite Children affair raised much suspicion in Israel after hundreds of babies and toddlers belonging to Yemenite immigrants to the newly founded state between 1948 and 1954 were said to be kidnapped and sold to Ashkenazi families. The parents were reportedly informed that their children had died in the hospital. However, some of the children later sought to track their biological families and discovered DNA matches. Suspicions were further vindicated when parents received military draft orders when their “deceased” children would have reached 18 years old—an indication that they were still, in fact, recorded as alive.